Let’s start with a brief rundown of Hossa’s career before we get to the hate and the turn around. Born in Czechoslovakia he signed with the Ottawa Senators in 97. The Senators had him play a year with the Winter Hawks before he then played four seasons with them. Then there was the dark time of the lock out. Hossa did what many other players did and played in Europe. His contract with the Senators had expired and he re-upped with a three year deal. They traded him immediately to the Atlanta Thrashers. He played two seasons in Atlanta, setting a franchise point record. In 08 he was traded to the Pittsburgh Penguins. 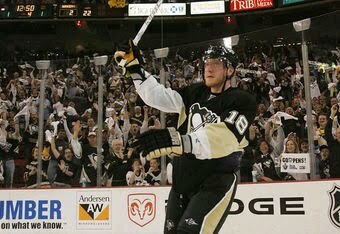 Joining Crosby and Malkin, he was a power house in the playoffs getting 12 goals and 14 assists. In the end it wasn’t enough and the Red Wings won the championship. 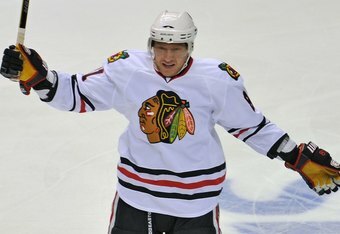 Hossa’s contract is up; Pittsburg offers him what is believed to be a five year, 45 million dollar contract. But Hossa wants a cup, thinks the Wings will win again, and goes to Detroit for a one year contract. Penguin fans were not happy. So Hossa is now in Detroit. There are some scary injury moments, but during the season he puts up some impressive numbers. Midseason he even says quoted in the Freepress saying he’d be willing to take less money and for a multiyear contract in Detroit. Then the playoffs roll around. For someone who led the team in goals, his performance was underwhelming. The finals are a rematch against his old team. What does Hossa do? In Seven games he gets three assists, zero goals. The Penguins win and for a second time in 2 years Hossa sees another team lifting the cup. 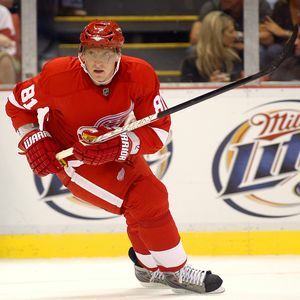 So in the off season Hossa signs a long term contract with the Wings right? Nope, he goes to the Blackhawks. And that’s when I jumped on the Hossa Hate Train. Maybe I’m just spoiled as a Red Wings fan. Zetterberg has played for the wings since 02 and signed a 12 year contract. Yzerman served as Captain for 20 years. Datsyuk has played 8 years in Detroit and has I think at least 2 more years under his contract. Nick Lidstrom? He’s played 18 seasons with a Wing on his chest. So you can see where I’m coming from, I’m not a big fan of those players who don’t seem to have any team loyalty. After two failed attempts, Hossa finally got to lift the cup above his head last night. So who is he playing for next year? Well it better be the Chicago Blackhawks. That deal he signed was for 12 years. It looks like the contract is set up to still pay him off if he retires, but we don’t expect that to happen for a little while longer. I don’t blame him for the move from the Senators to the Thrashers, he had no control over that one. But the other team jumping seems to have stopped. I think there is something poetic that he didn’t get the championship until he had signed a long term contract. 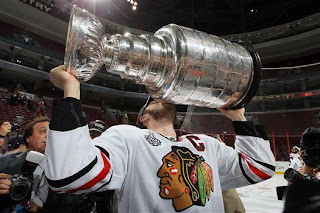 And who knows, with the way Toews and Kane are playing, he might get a chance to lift it again next year.